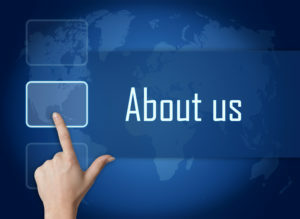 Our comprehensive information security services and IT consulting solutions immediately broaden your IT capabilities and give you the power and flexibility to handle any aspect of your technology needs such as network integration, business application support, web design, end user technical support, and preventive care. DNSS can help you asses, design, deploy, and manage your entire information technology infrastructure in an optimal way to maximize performance and minimize downtime. Our network support capabilities range from simple IT moves, additions/upgrades, to remote performance management. All these options ensure that your network will operate at peak performance and maximum cost efficiency. Why DNSS Information Security Services and IT Consulting? It all comes down to one simple fact: technology that fits your business drives your business to be more profitable, productive, and competitive. Are you ready to make technology work for you? We believe in pro-active vs. reactive work. Unlike our competitors, we want to enable your business to use technology to its fullest potential. Our main goals are to keep your business running smoothly and reduce IT costs in your organization by overviewing your systems’ security, helping you build and manage a centralized network infrastructure, and always providing you with technical support & fast response in the event an incident occurs. We also provide digital design services, anything from print, web design, and multimedia from our Design Studio (DS).